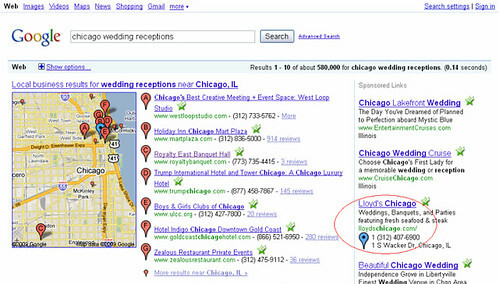 Mike recently spotted this as well, and believes this has to do with the local extensions feature Google Maps released. Personally, I cannot replicate this at all. I tried dozens of queries and non took.